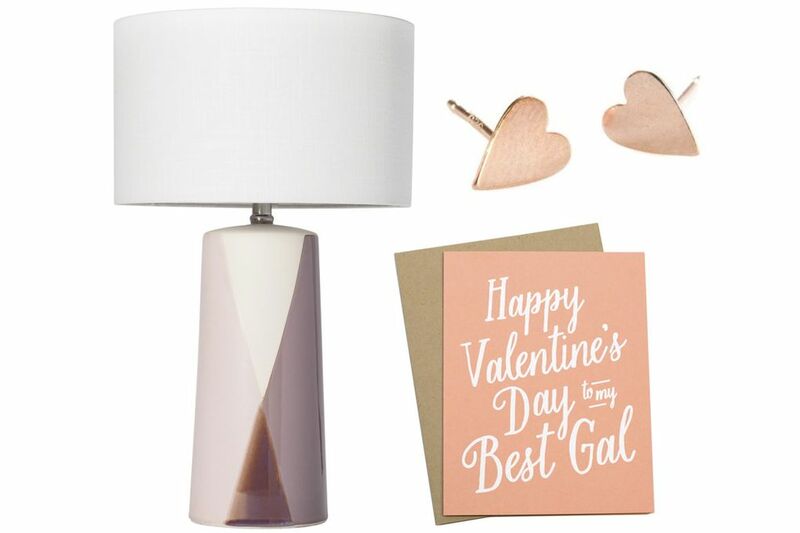 On-theme apparel, décor and gift ideas that are pink, red or simply lovely. With Valentine’s Day fast approaching, there’s no better time to pick up a little something that’s pink, red or simply lovely for your sweetie — or yourself. Spread the love this month with on-theme apparel, décor and gift ideas that will warm even the coldest of hearts. J.Crew Factory City Coat ($114 at factory.jcrew.com). You may have your love to keep you warm, but this chic, cozy number — at a discounted price — is a nice winter backup. 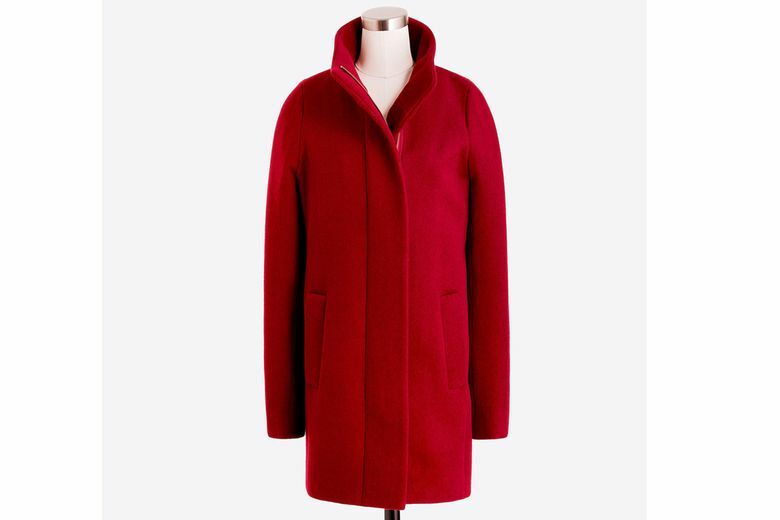 The wool-blend coat is available in bold red or a pretty lavender, along with neutral hues. 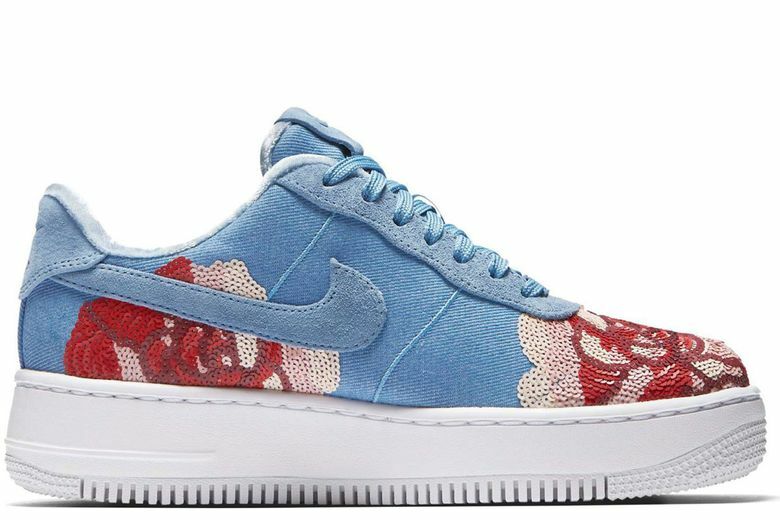 Nike Women’s Air Force 1 Upstep LX in December Sky ($200 at bandier.com). These cool kicks, covered in a bouquet of sequin blooms, won’t wilt after a week. And an exaggerated midsole will have her feeling like she’s walking on air. Pine & Boon Convertible Perforated Leather Pouch/Crossbody (on sale for $54 through February at pineandboon.com). Designed in Seattle and made in Portland, these perforated leather bags add a playful pop of color and function to any ensemble. 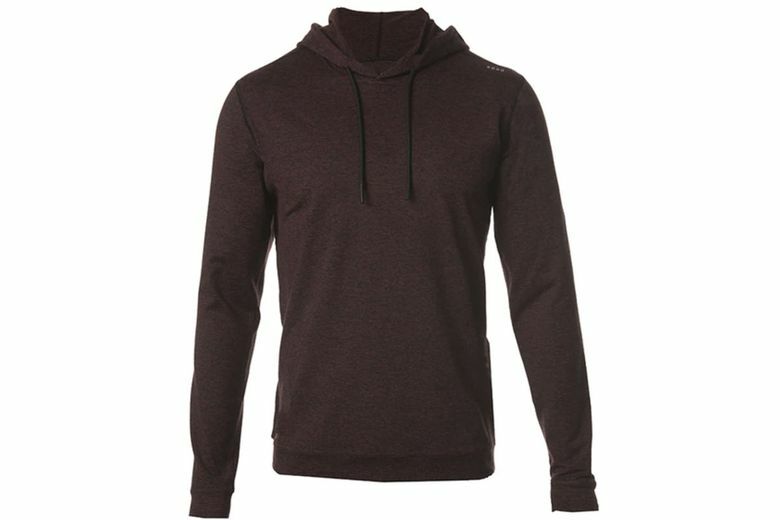 SODO Apparel SLU Hoodie ($118 from sodoapparel.com). This best-selling, Seattle-designed hoodie will make you feel like you’re wrapped up in a hug long past the 14th, with its ultra-soft, breathable fabric. Seven colors are available, and all include SODO’s signature rubberized drawcords made from recycled athletic shoes. 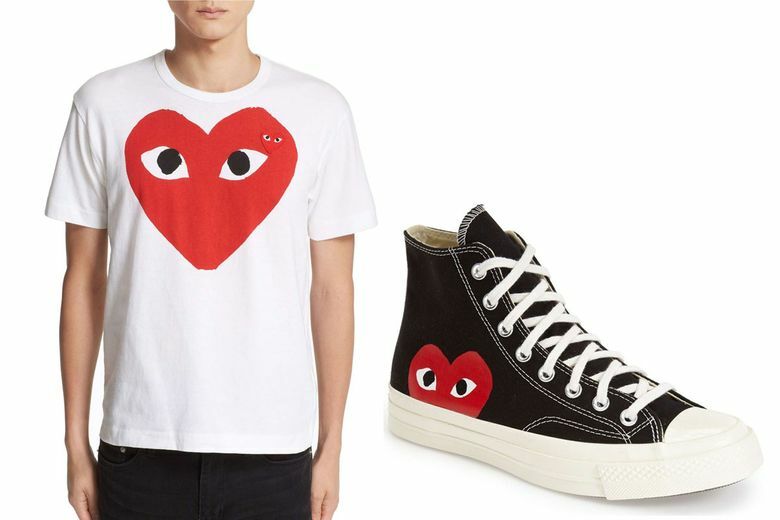 Comme Des Garcons Play x Converse Chuck Taylor Hidden Heart High Top Sneaker and Comme Des Garcons Play Heart Face Graphic T-Shirt ($125 each at Nordstrom). Cool, graphic and on-point for Valentine’s Day, this designer tee or a pair of these classic sneakers will set any heart aflutter. 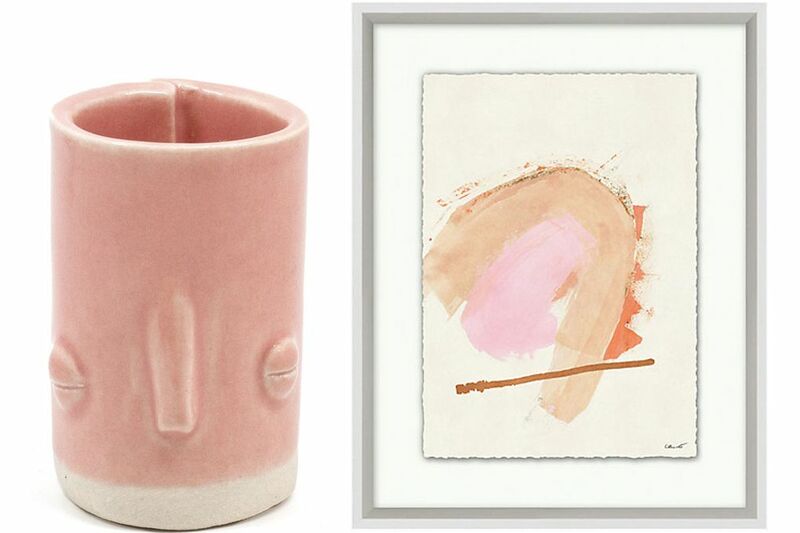 Dorotea Ceramicware ($45–$60 at amazon.com). 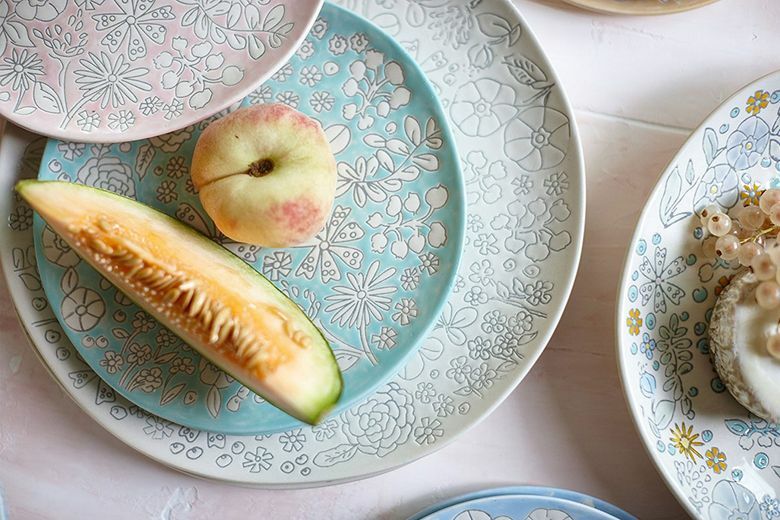 Designed by Spanish-born, Seattle-based artist Carolina Silva, these floral plates, bowls, mugs and serving pieces make everyday meals more special and are pretty enough for formal occasions. 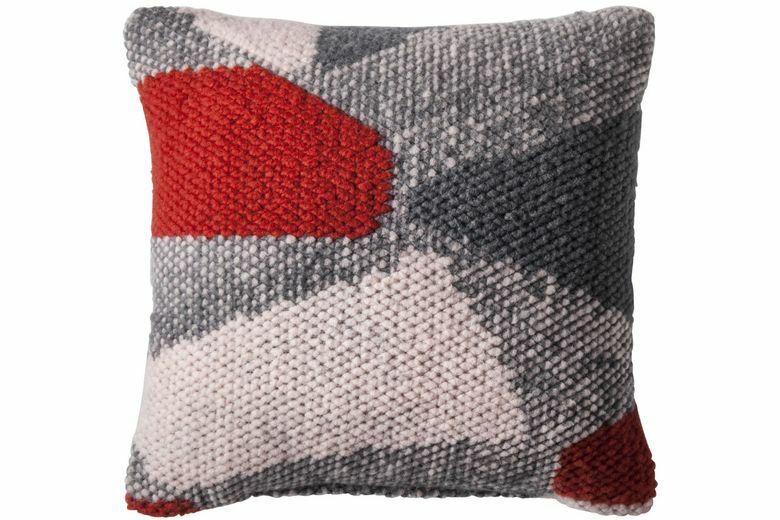 Project 62 Color Block Throw Pillow ($25 at target.com). Get cozy with this high-energy, retro-inspired pillow that mixes textures and colors — proving that opposites really do attract. Kate Spade New York Pink and Copper Print ($250 at katespade.com). It’s love at first sight for this little number, by artist Heather Chontos, which features an abstract design in pink, red and beige, highlighted with hand-applied copper leaf. Project 62 Cohasset Dipped Ceramic Table Lamp ($50 at target.com). With many more dark, dreary Seattle evenings to come, this hand-dipped glazed lamp in lovely blush and cream tones won’t go unnoticed. A white drum shade is included. Friend Assembly Solid Sleepyhead Planter ($18–$60 at Moorea Seal). Made in Portland, these sweet little vases with faces are a perfect home accent or Galentine’s gift for your bestie. Four colors in three sizes are available, but we’re partial to the pink option, of course. 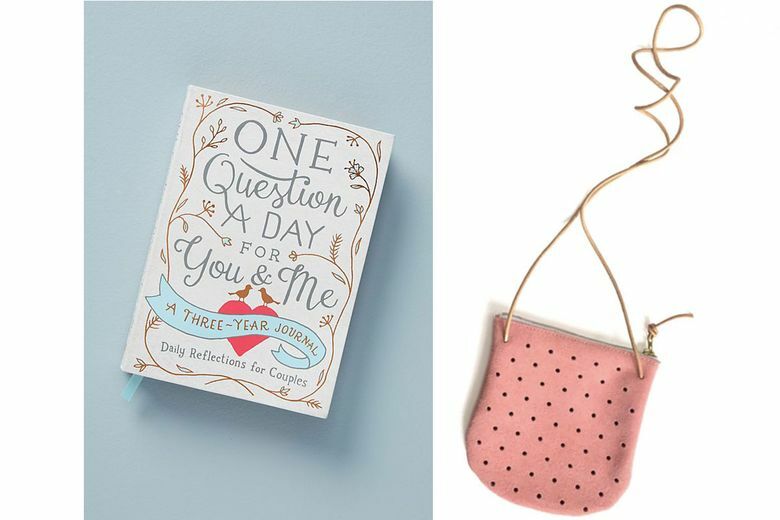 “One Question A Day for You & Me” ($17 at amazon.com). Celebrate who you are as individuals and a couple with this three-year guided journal, in which partners each answer the same question every day. Learn more about each other and look back to see how you’ve grown. 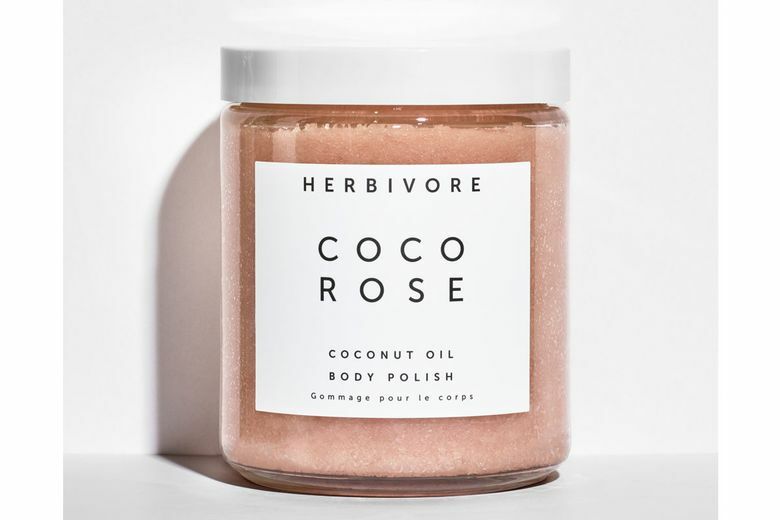 Herbivore Botanicals Coco Rose Body Polish ($36 at herbivorebotanicals.com). A blend of coconut oil and Moroccan rose are the ultimate power couple in this Seattle-made body polish that’s moisturizing and exfoliating. Koe-Zee You Used To Call Me Cross Stitch ($50 at mooreaseal.com). 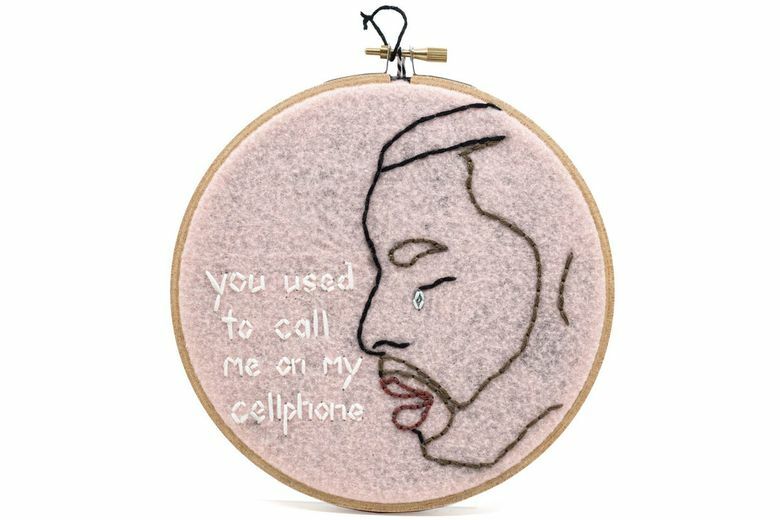 Pay tribute to love lost with this cheeky, locally handmade tribute to Drake’s song Hotline Bling. It’s perfect for your favorite Galentine or, perhaps, someone you’re trying to win back. Hemleva Heart Himmeli ($38–$66 at hemleva.com). Give your heart via this Seattle-made showstopper. 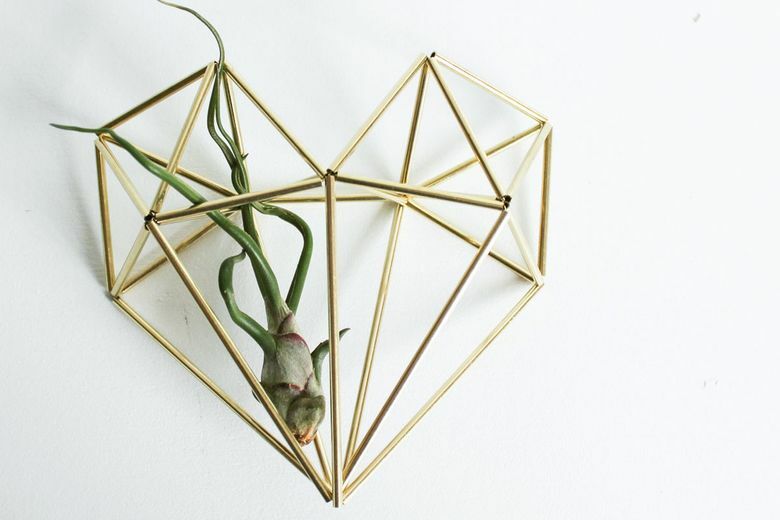 Made of 100 percent brass, it’s perfect on its own or filled with air plants, and is sure to make loved ones near and far smile any day of the year. Baleen Rose Gold Heart Studs ($26 at shopbaleen.com). Delicate, affordable and handmade in Seattle, your daughter or loved one will adore these sweet hearts that add a touch of love to her look. 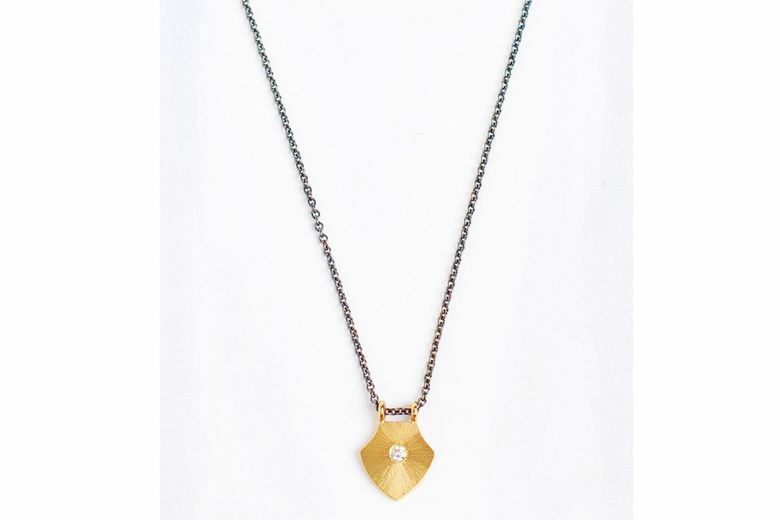 Hitchcock Madrona Small Shield Necklace ($375–$450 at Hitchcock Madrona). A symbol of strength and protection, this solid 18K yellow-gold shield pendant with an optional white or black diamond is sure to be a treasured keepsake. The Social Type Best Gal Valentine Card ($5 at thesocialtype.com). Not sure what to give? There’s not much better than a Valentine’s card like this L.A.-made option that says it all, simply. Megan Bartley: megan@thinkstylewrite.com; on Twitter: @megarpin.